How often were these things not told you? The Lord, YHWH, Yeshua HaMashiach, Jesus Christ, has said already many times the things that are listed in this message. Hello, very welcome! On February 9th, 2017, a messenger angel of God brought on the following message to Prophet Benjamin Cousijnsen, which I’d like to share with you. Shalom! I greet you in the almighty name of Yeshua HaMashiach, YHWH, Jesus Christ. Verily, verily, I tell you, Kadosh, Holy is Yeshua HaMashiach, YHWH, Jesus Christ! Verily, my name is Reavera and I am a messenger angel of God. Verily, how many times did not God sent forth His angels, in order to save you with His mighty hand? Verily, how often did not Yeshua HaMashiach, Jesus Christ, take you out of the pit, and precisely when there was no hope anymore? Verily, how many times has not He called you to be a blessing for His work? Verily, how often were you not able to give your tithes to Yeshua HaMashiach, YHWH, Jesus Christ? Verily, and how many times has not He blessed you financially, in order to also meet Him? Verily, how many times did not He dry your tears? Verily, and how many times did He give you strength, in order to not give up? 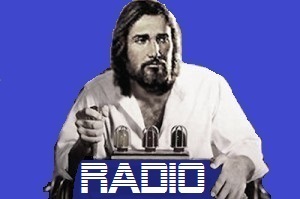 Verily, how many times has not He it put in your heart, and said: Don’t blow along with all preachers and ministries, and especially support the Evangelical EndTime Machine, international? 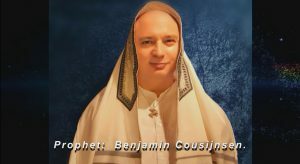 Verily, how many times did not the Holy Spirit say to you: Prophet Benjamin Cousijnsen is truly God’s true end-time Prophet and is one of the Two Witnesses, together with Theresa? Verily, how many times have not you been blessed through the encouraging messages of God? Verily, how many times did Yeshua HaMashiach, YHWH, Jesus Christ, have time for you, 24 hours a day? Right, 24 hours a day! 2 Samuel 22, verse 31 As for God, his way is perfect. The word of the LORD is tested. He is a shield to all those who take refuge in him.